Get the latest news from RT in Berlin, including breaking news, sport, and weather. Berlin is the capital and largest city of Germany. It is a famous cultural and political center. Don’t miss the latest cultural and political news and reports from Berlin. Berlin is a highly popular tourist destination – read stories and news about traveling in Berlin. The city’s economy strongly relies on science, technology, and the service sector. 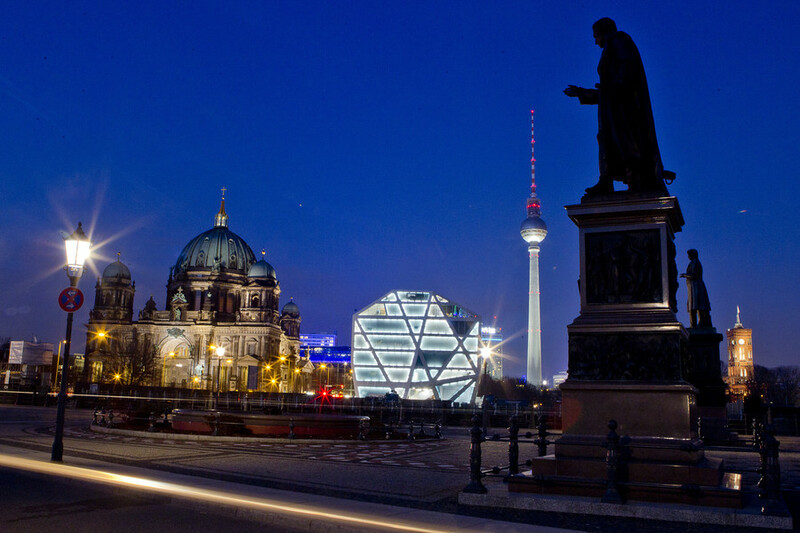 Check out articles and news on the latest technological developments in Berlin. However, as in all big cities, Berlin sometimes is affected by criminal incidents, and is now facing migration issues – follow RT for the news on that matter. Don’t forget to check out authors’ opinions on the news and current events taking place in Berlin. 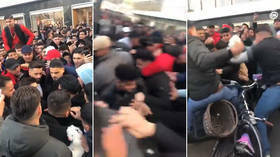 More than a hundred police officers armed with riot control sprays were deployed against a brutal brawl that erupted during a massive ‘fan meet-up’ of rival YouTube influencers at Berlin's iconic Alexanderplatz. 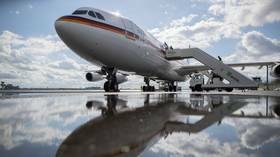 Germany can forget about getting as much intelligence from US spooks as it currently does if it allows Chinese telecoms to build 5G infrastructure, a letter from the American ambassador in Berlin has reportedly warned. The new leader of the Christian Democratic Union, Annegret Kramp-Karrenbauer, has been blasted for mocking gender laws at a carnival and telling jokes about the “latte-macchiato party” installing trans bathrooms in Berlin.